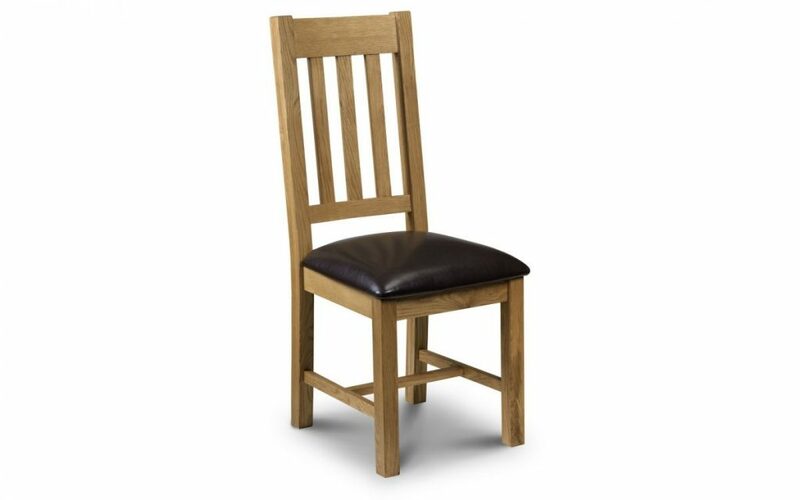 TORI Solid Oak Dining Chairs With Brown Faux Leather Seat Pad. 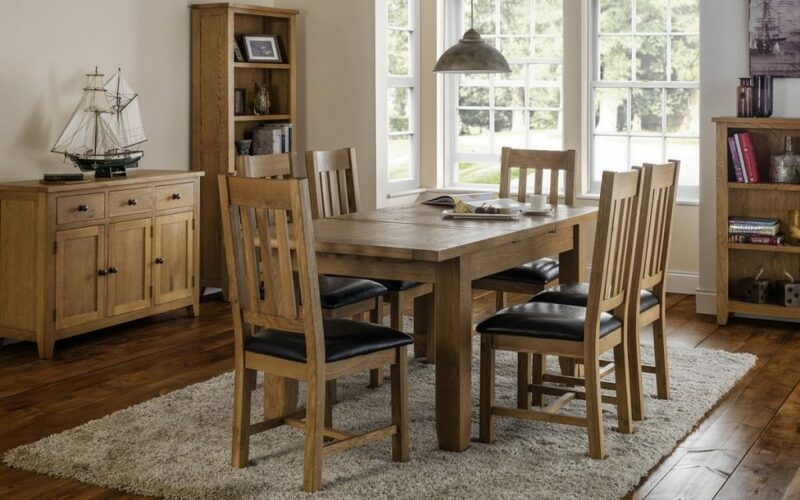 The Tori range has been crafted using the finest American white oak and oak veneers to produce solid, long lasting pieces that beautifully compliment your home. 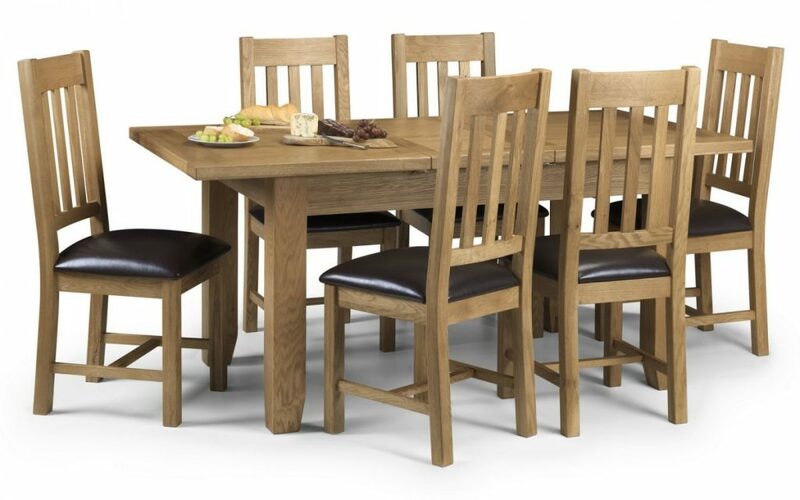 Simple and versatile the dining chairs beautifully compliment the Alexis dining table and the rest of the range. Finished with a faux leather seat in deep brown the chairs are super simple to wipe clean and offer a comfortable dining experience. Brown Faux Leather & Solid Oak.